President Abdulla Yameen Abdul Gayoom has ratified the amendments to Judges Act which will disqualify judges convicted of a crime by a court of law. 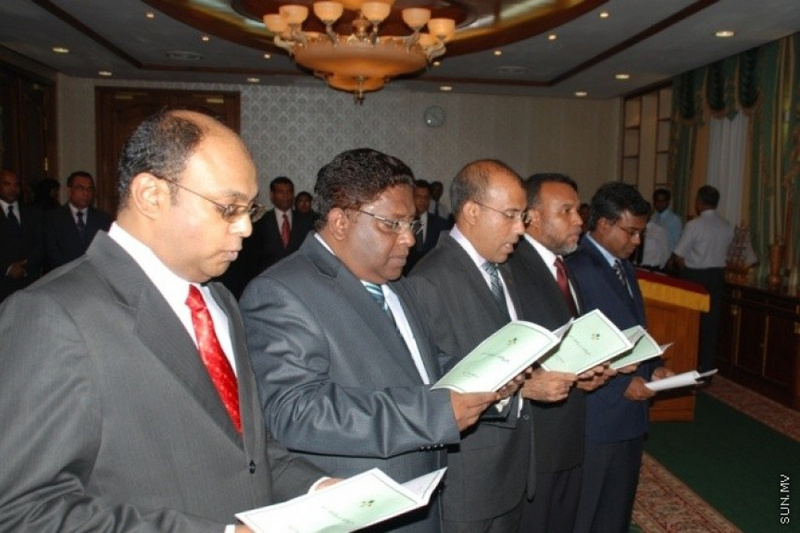 The amendments to the Judges Act, submitted by deputy leader of ruling Progressive Party of Maldives, Fonadhoo MP Abdul Raheem Abdulla (Adhurey) was passed with the vote of 38 lawmakers during the People’s Majlis sitting on last Tuesday. The amendments were ratified by President and published in the Government Gazette this Wednesday. The amendments include an addition to the criteria for judges. The addition, Article 15 (b) (v) of Judges Act states a judge cannot be someone serving a sentence for a criminal offense. An Article 24 has also been added, which states judges arrested for a criminal investigation must be suspended with pay, and that judges charged with a crime must be put on suspension without pay. Judges will now be disqualified the moment they are found guilty of a criminal offense. Article 154 (b) of the Constitution states judges can only be dismissed from their position when the Judicial Services Commission finds the judge incapable, or guilty of an inappropriate act, requests an impeachment with the People’s Majlis, and two-thirds of the lawmakers present during voting approve the impeachment.